PSPA is grateful to Norman Eberly Professor of Practice in Journalism Will Yurman of Penn State Bellisario College of Communications for taking photographs during our state SJC finals on Wednesday, March 27. The video that was shared at the last session of the day is linked here, and we've selected a few of Yurman's photos in the album below. You can find the full album at this link. To share any of these photos in your publication or on social media, please credit Will Yurman / Penn State. Pennsylvania School Press Association's 2019 Student Journalism Competition Finals took place on Wednesday, March 27 at Penn State University's main campus. Students who previously qualified at regional events participated in a press conference about operations at the Penn State Creamery with Professor and Food Service Department Head Dr. Robert Roberts and Creamery Director of Sales and Marketing Mr. James Brown. Students then competed in writing, design, photography, and video categories based on the themes of the conference. Congratulations to the following students for winning their categories at the 2019 Student Journalism Competitions. Results in the photography and video categories will be announced after the submission date. PSPA is grateful to our hosts at Penn State University for the organizational and on-site support, especially to Donald P. Bellisario College of Communications Dean Marie Hardin, Assistant Dean Jamey Perry, Assistant Teaching Professor John Beale, and Manager of Recruitment Emily Clevenger. 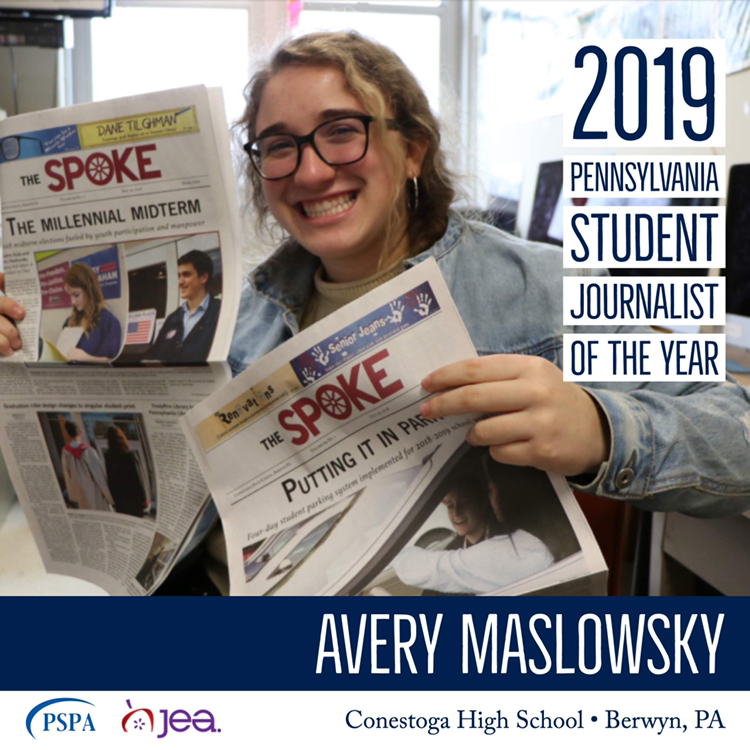 Pennsylvania School Press Association is proud to announce that Conestoga High School senior Avery Maslowsky of Berwyn, PA is the 2019 Pennsylvania Student Journalist of the Year (SJOY). 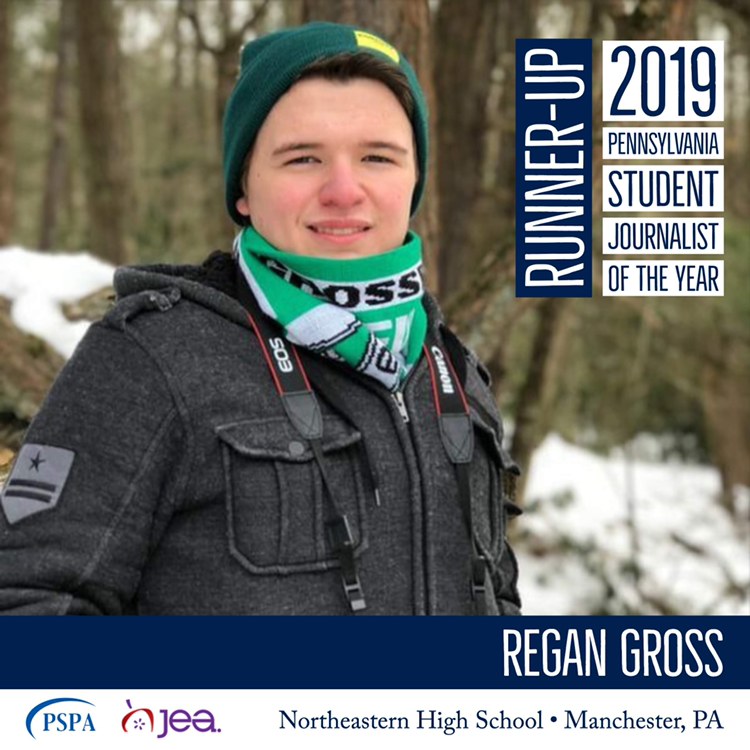 Regan Gross of Northeastern High School in Manchester, PA is the 2019 Pennsylvania SJOY Runner-Up. Maslowsky is a four-year staff member of The Spoke, Conestoga High School’s monthly news publication, and Good Morning Stoga, Conestoga’s daily morning show. This year, she serves as Editor-in-Chief of The Spoke for 2018-2019 and Head News Anchor for TETV (Tredyffrin-Easttown Television Station). She previously served as Head Sports Editor, Head Business Manager, Anchor, and Producer for her school’s journalism staffs. Maslowsky’s portfolio moves on to national SJOY consideration, where her work will be judged alongside 2019 SJOY winners from other states. The national winner and runners-up will be announced at the National High School Journalism Convention in Anaheim, CA, April 25-27. Runner-up Regan Gross has worked on Northeastern High School’s award-winning Daedalus yearbook for the last three years, and, according to judges, has been "a positive influence on [the] staff and impacted the book in countless, wonderful ways." ​The Pennsylvania Student Journalist of the Year award was named for Dr. Jane Blystone in 2011, and includes a $500 scholarship for the winner, as well as $100 awards for runners-up. State scholarship awards are sponsored by Pennsylvania School Press Association. Competition standards and rubrics align with the Journalism Education Association's Student Journalist of the Year competition. The annual competition is open to senior student journalists. ​Please visit the JEA SJOY page for information about preparing a portfolio. Sample portfolios from last year's state winners are posted on JEA's site. Portfolios for the 2020 Student Journalist of the Year will be due in early spring 2020. Press Association, please contact organization president Paul Fantaski at pfantaski@gmail.com. 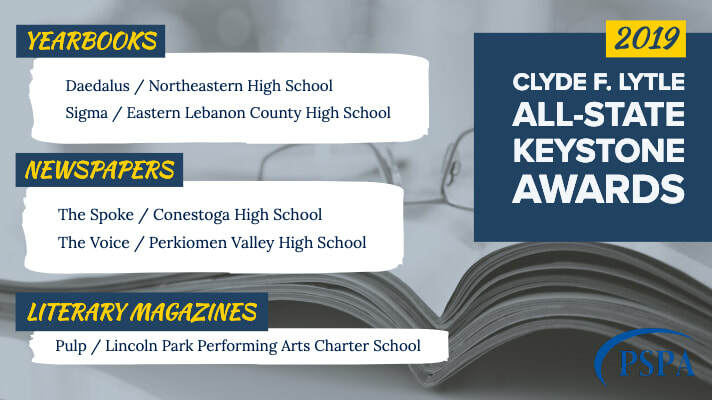 Pennsylvania School Press Association is proud to announce this year’s Clyde F. Lytle All-State Keystone Awards for newspapers, yearbooks, and literary magazines. 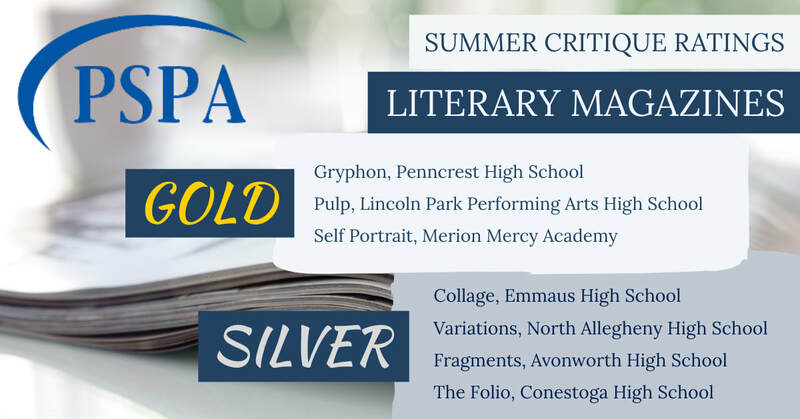 Yearbook winners are “Sigma” from Eastern Lebanon County High School in Myerstown, PA, and “Daedalus” from Northeastern High School in Manchester, PA. “Pulp” from Lincoln Park Performing Arts Charter School received the award for literary magazines. Newspaper winners are “The Spoke” from Conestoga High School in Berwyn, PA and “The Voice” from Perkiomen Valley High School in Collegeville, PA.
Publications were evaluated based on their 2017-2018 editions. All newspapers, yearbooks, and literary magazines receiving gold ratings in PSPA summer critiques are automatically considered for the annual Keystone Awards. These publications are sent on to a new judge, where these are evaluated alongside other gold-ranked publications to determine the Keystone All-State Awardees. Keystone judges offered extensive feedback for this year’s award-winning publications. In the yearbook category, judges highlighted specific design elements and reporting strengths. In the newspaper category, the judge acknowledged Keystone Awardees directly for contributing to the overall importance of scholastic journalism. Perkiomen Valley High School re-launched a print edition of "The Voice" in 2017-2018 for the first time since 2013. “You deserve immediate commendation for re-starting a newspaper that has lain dormant and quieted. There is no more important time in recent American history for newspapers to be present, so thank you to the committed adviser and staff who are re-igniting one of the most important parts of a student campus: its ‘town square,’” the judge stated. The Pennsylvania School Press Association originated in 1925 and stands as one of the oldest scholastic journalistic organizations in the country. PSPA recognizes and support student journalism programs in Pennsylvania through journalism competitions, summer critiques, awards and recognition, mentorship for advisers, and other resources. Learn more about PSPA’s summer critique process here. 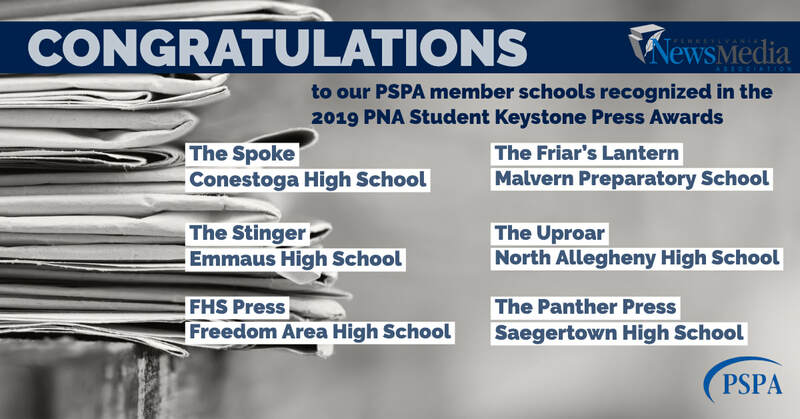 Sponsored by the Pennsylvania News Media Association, the annual Student Keystone Press Awards contest recognize high school and college journalism that provides relevance, integrity and initiative in serving readers. Any student at any public, private or parochial Pennsylvania high school, college or university who has had his or her material published in the school newspaper may enter the contest. Students who have had their work published on a digital news site may enter the contest provided the site meets the criteria as outlined in the contest rules. 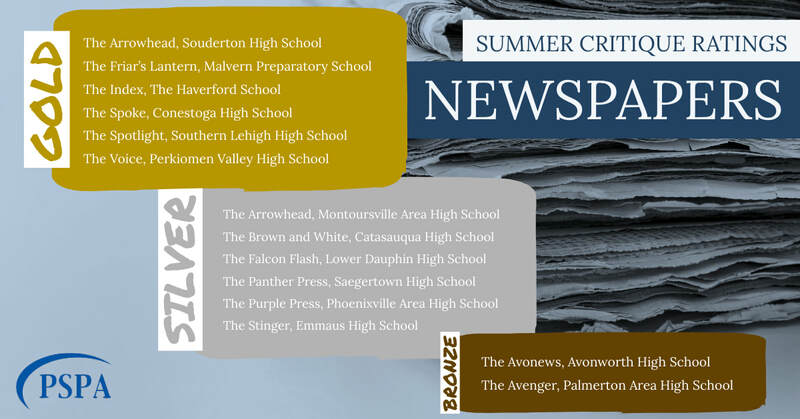 Winners will be honored at the America East News Media & Technology Summit on Wednesday, April 3, 2019, in Hershey, Pa.
Congratulations to our PSPA member schools recognized in the 2019 PNA Student Keystone Press Awards. ​See the full list here. Once again, PSPA offered summer critiques to yearbooks in 2018. Participants were scored on content, photography, design, coverage, writing, and editing. All participating publications received a detailed critique from judges with commendations and suggested areas for improvement. In addition to receiving feedback from experts, submitted publications automatically become part of a statewide contest. In the first level of scoring, publications receive a scorebook with a bronze mark, silver mark, or gold mark. All publications earning an overall gold will be sent on to a new judge where publications compete against other gold award publications to determine which publications will receive the coveted annual Clyde F. Lytle All-State Keystone Award. Learn more about how to submit your publication for a critique here. For local high school journalists, the quest to become a State Champion commenced once again when the Pennsylvania School Press Association opened up its fifth annual State Journalism Contests. 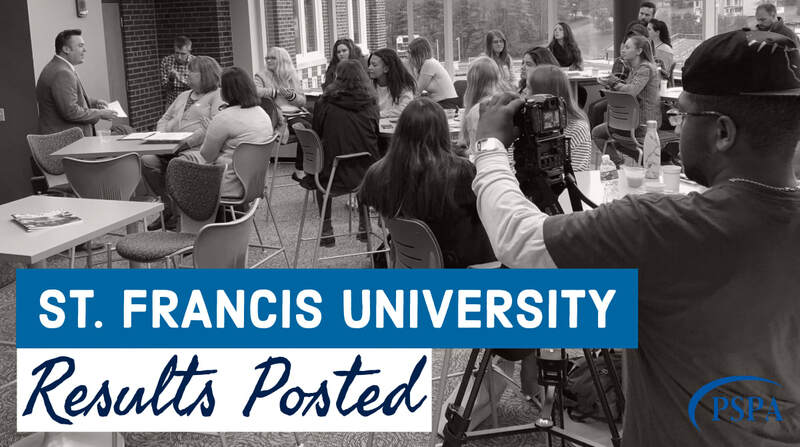 On October 26, 25 students from central Pennsylvania traveled to St. Francis University in the hopes of advancing to the State Finals held at Penn State Main on March 27, 2019. ​PSPA President Paul Fantaski expressed his appreciation for several aspects about the event. Once again, PSPA offered summer critiques to print newspapers in 2018. Participants were scored on essential content, photography, design, coverage, writing, and editing. All participating publications received a detailed critique from judges with commendations and suggested areas for improvement. 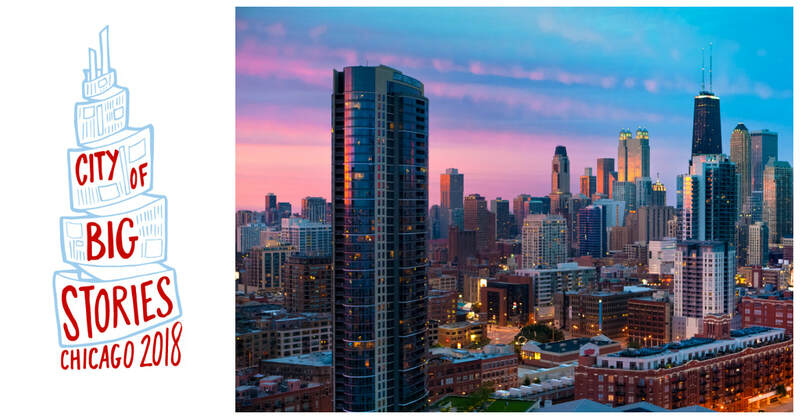 Several Pennsylvania publications were recognized at the annual fall National High School Journalism Convention in Chicago, IL, Nov. 1-4. Congratulations to participants listed below, and to all of our student journalists and advisers who participated in the national convention. Once again, PSPA offered summer critiques to literary magazine publications in 2018. All participating publications received a detailed critique from judges with commendations and suggested areas for improvement.